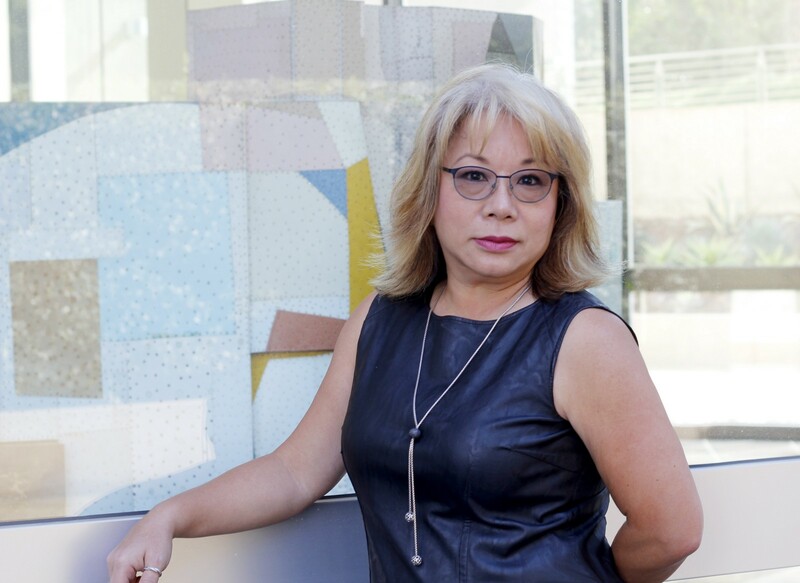 I had the pleasure of interviewing Hannah Hieu, Senior Vice President of Design + Architecture/Culture and Engagement Advisor at Unibail — Rodamco — Westfield who was named a 2018 Woman of Influence by Los Angeles Biz Journal. 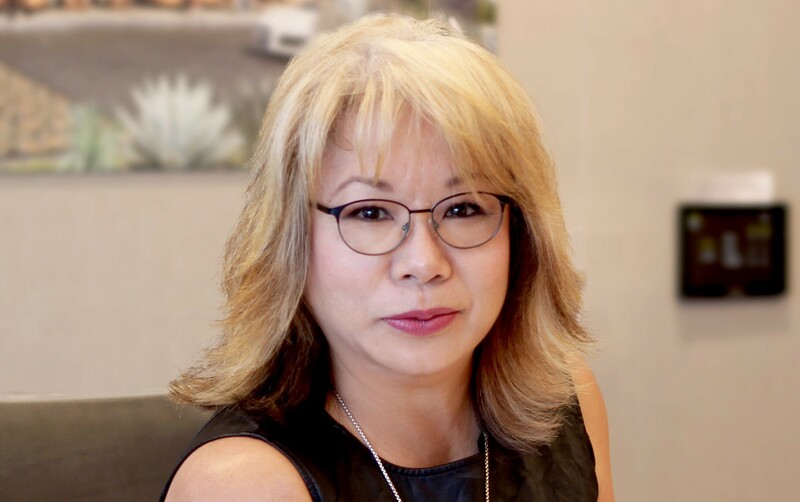 With over 20 years of experience in retail architecture, mixed used, hospitality and airport projects, she has managed the creative and technical process of iconic projects such as The World Trade Center, Garden State Plaza, and San Francisco Center. Recently, she is one of key leaders in leading the internal design team through an organizational transformation and corporation acquisition. Hannah and her team continue to push the design envelope to create a retail experience that has never before existed. 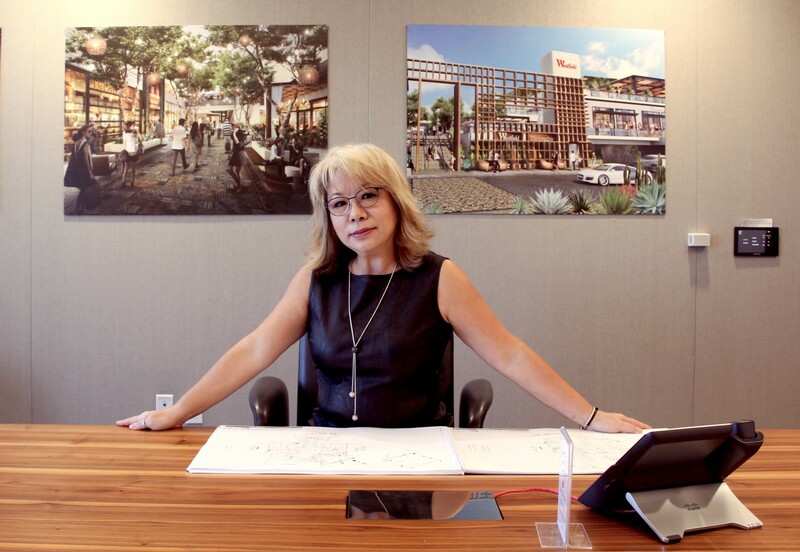 Architecture wasn’t my original career path — it was something I stumbled upon. After struggling through pre-med as expected by my father, I realized I wasn’t cut out for medicine. I took a couple design and architecture classes out of curiosity and fell absolutely and completely in love. I knew I wanted to work in design but I wasn’t sure in what capacity. That’s when I fell into retail design. I had a friend who was working for Westfield (now Unibail — Rodamco — Westfield) that told me about an opening. This was right in the economic downturn of the 90s and I desperately needed a job. So I applied and ended up getting the position, with no intention to have a 22-year career there. I’m immensely grateful for my friend and for my willingness to step into something that was completely unknown to me. I have always been very career focused — I was married to my career. By far the most interesting thing that came along, the biggest left turn if you will, was that I actually got married and had children! That was never part of the plan and it took some major rejiggering on my part. It also lead me to become a spokesperson and coach for Executive Moms for Harmonious Living, a support group I am building for helping career focus mothers to live fulfilling lives without the burden of guilt, to learn prioritization. A more career-centric answer is that I’ve been able to participate in and contribute to the evolution of this company over the last two decades and watch as retail evolved and redefined itself into what it is today: a social space for communities to gather, entertain, and experience diverse culture together. The funniest mistake that I made when I was starting out is also the most embarrassing. It was probably 2 years into my career at Westfield and I was working as a site architect in the Midwest. There was a boom lift, and because I felt like I had to do absolutely everything and that I was just as tough as the guys, I got on the lift to check out progress of the building despite my paralyzing fear of heights. We went up about 80 ft. in this lift. There I was, this young woman on a construction site, surrounded by probably 25 male laborers, white knuckling on this boom. It was physically and emotionally one of the most horrible moments of my life and when I got off the boom, the second I stepped off, I upchucked in front of everyone. I had no business going up that lift in the first place! The biggest lesson I learned is that we don’t have to do everything. We somehow learned to never ask for help, to take on everything that comes our way, and that saying “no” means we failed or are incompetent, and success means we have to do it all. There is a fine line between pushing beyond our comfort zone and understanding and respecting our limitations. Being an effective leader is knowing when and what to delegate. We are a vertically integrated, cross-functional company — a very unique mix in this retail development industry. We design, develop, build, lease, market, and operate under the same brand commitment. Our Brand is our north star. As designers, we don’t create from the architecture monument perspective, we focus on consumer and retail engagement, we look for moments to surprise and delight. We listen and watch how people respond to the change in retail landscape, they will give us the answers about what we need to create. We put big investment in customers’ experience, we place innovative features in our center such as art integration, cutting edge customer touch point, and hospitality environment. We bring world class events for entertainment at the most unusual locations. Take Westfield World Trade for example, it functions as a transportation hub, with opportunities for retail and food. Recently, it hosted a performance by Nicki Minaj for the MTV video music award in the middle of the Oculus. Can you imagine, trying to catch a subway and running into a concert by Nicki Minaj? At Westfield Century City, we hosted a summer sing-along summer movie series in the Atrium, where we brought communities together, and provided a space for connectivity and social engagement. The use of that Atrium is not an afterthought — we planned for it to be multifunctional by providing appropriate infrastructure from the inception of the project. We planned for it to be able to host movie nights, fashion shows, concerts, movie premiers, and many other activities. In order to thrive, let passion drive you, not pay. Financial security follows passion. Passion will drive you through challenges, politics, competition, fear, and self-doubt. In addition to passion, hone in on your emotional intelligence radar. I think business skills come from putting in the time, but emotional acumen comes from our altruistic center. If we are authentically and altruistically connecting with the people around us (colleagues, peers, customers, and family) we will succeed in ways that serves our spirit not just our bank account. In regards to not burning out, ask for help and take a mental detox day — a day to do nothing. The rules are simple: no email, no work-related phone calls, no responsibilities, no appointments, no agendas, no decisions, no work-related conversations. Literally shut down — I even shut down on my duties as a mother and am fortunate to have an amazing life partner and husband who can pick up the slack while I check out. Take the day minute-by-minute, give yourself permission to disconnect and be unreachable. Imagine it like putting on Harry Potter’s invisibility cloak. It’s pretty cool, to be an observer for a day. Things become so much clearer after a day like that.We push hard every day with unlimited goals insight. We have to give ourselves the time and space to listen to our own body and mind. Admittedly it’s a lesson hard to learn and a habit hard to break, especially for women. But we must set examples, if we are leaders, we must set examples for those who look to us for guidance; if we are parents we must set examples for our children. Boundaries must be defined, respected, and honored first and foremost by ourselves. There are so many people — I can’t just name one. So much of my success has come from people who shared the path of my journey. There are those who saw my abilities before I saw them in myself, those who pushed me when I felt I wasn’t ready, those who gave me opportunities that were much bigger than I was ready for at the time, those who had the courage to have difficult conversations when I got off the rails or caught up in my ego. There were so many people along the way, some simply reminded me to be true to myself; encouraged me to see fear as what happens prior to stepping into greatness, pushed me to see my power as mine to control and not to give it away…moments like these happened every day in my 30+ year career and I am so thankful. Additionally, when we think of lessons, we often think of our bosses or those in leadership positions, but we forget that very often we learn most from our colleagues, those who report to us, and those whose jobs are executing our visions and ideas. Some of the biggest lessons I learned were on site from the guys who were framers, electricians, plumbers, sheetrock hangers…these folks are the quiet masters of their crafts and there is a wealth of knowledge I benefited from being in the trenches with them. As I mentioned, Westfield was recently acquired by Unibail — Rodamco, so we are going through a major transition. Our current focus is how to bring these two giant firms together. We are not only figuring out the future of retail, but also what as a company we will look like. It is a very exciting time. We are a company in 2 continents, 13 countries, 27 major cities and 102 centers with close to $15Bn of the largest development pipeline in the industry. To answer your question, I don’t even know how to pick what’s not exciting. We look at future trend in mobility, in WELL building, in being the influential omnichannel for retailers. Most importantly for us, it’s about redefining shopping centers to become the experiential social place for communities worldwide. The thing I am most proud of — my center heart passion — is the work that I do to help business women find harmony in their lives. Balancing career and motherhood is not an easy journey. I coach women who are considering having babies, women who’ve left their careers after having children and are struggling to re-enter the workforce, executive women who are desperately trying to find the balance between running a corporation and running a household. This part of my life gives me the most fulfillment, because I know I am doing work that helps establish the future landscape for women in business, and hopefully I help create a working environment that will support my daughter’s generation. I try to speak at as many women supporting conferences as I can to promote this belief that we can have both: a successful career and a healthy home life. This is the most important and significant goal for me which I plan to continue to focus on in years to come. It has been more than five decades since women entered the workforce, how can we possibly still be struggling with whether we should or should not work after having a family? By now, we should be focusing on the “how” to have both. Because YES we can have both and YES we can have it all! I am living the testament of that and whole heartedly believe in it. Retail companies will focus on experience as oppose to transaction. We’ve learned through the evolution of e-retailing that fundamentally people need human interaction, and connectivity. Human interaction can only be experienced in the physical and built environment. Those who can make the experience most compelling and sustainable will be successful. It is as simple as that. The success of brick and mortar retail environment will depend on how we address the customer’s journey, how we can make it as fluid and frictionless as possible. At a deep level, we respect people’s time, how little time everyone has and how much we want to accomplish in this little time. The success of e-retailing is that it’s easy and convenient. You will experience more digital initiatives in regard to parking, wayfinding, reservations, shopping, porter services and these kind of amenities. For example, at Westfield Century City, our consumers have experienced Smart Parking for about a year now. You can register your car, and it’s an easy way to park with ticketless, digital entry using Westfield App. You can also reserve parking space in advance of visiting the center. These kinds of experiences will be what consumers expect. Developers will need to design social spaces that are compelling and engaging environments for consumers. We challenge ourselves daily to come up with innovative solutions to capture our consumers’ attention, time, and foot fall. We expand our menu in term of who we define as “retailers,” we bring medical offices, health clubs, grocers, and service focus business to the mall for convenience and one stop shop idea. We come up with ideas as we work with our retailers to make their business thrive as we connect them with other partners in business. For example, at Westfield Valley Fair, we are in the midst of a massive development project. One of our very popular restaurant tenants there is basically landlocked by the construction. This is a $12M a year business, not something minor. We watched their business take a dive as construction began around them. We made a connection between this restaurant tenant and a food delivery service, capitalizing on online food ordering service, we created drop off/pick up dedicated valet lanes, for easy in and out accessibility. Since we can’t bring consumers to their business, we bring their business to the consumers. Their business went up surpassing the $12M initial benchmark. You will see densification of urban shopping centers. As cities get over populated, you will see more focus on the concept of work, live, play, in tighter city radius. At Westfield UTC in San Diego, we are in the middle of construction a residential tower that is a 23 story building, 300 apartment units and $200 million in development. We bring consumers to mall by offering dwelling spaces within walking distance. We are pushing ahead with other residential projects on many of our properties and I predict this will be the standard for retail spaces moving forward. Finally, we’ll see the impact of change in the automobile and mobility industries. As car service business such as Uber, and Lyft take off, along with automated cars becoming more of a reality, how will our consumers arrive and depart? How do we make this more convenient and fluid? I would love to find a means to connect mothers to mothers, who can support each other in living and having our “all.” It takes a village, and I’d like to create a network of villagers, so to speak, who can step in at moment’s notice to help each other live our lives in a meaningful and successful way. What do I mean by this? Let’s take for example, my husband is traveling and I am single mothering this week. I have an amazing nanny, without whom my life would be a mess, but that aside, I had a super early morning meeting this morning with a team here and a team in Europe. So I had to leave the house at 6. Normally, no problem, husband takes over… but not today…. thank God for my nanny who came before the sun came up. Now what if I didn’t have my nanny? What if she couldn’t make it? Whom would I call? With this network of moms in place, I would have experienced mothers — who have been vetted — who I could entrust my children with. This is one simple example, but there are numerous stories of mothers looking for someone to drive kids here and there for a day or two a week, or stuck when they have to take one kid to the doctor in the middle of the night while the other kids are sleeping, so on and so forth…Our lives can be so much simpler if we look at our local community as a resource of support services for moms by moms. Here’s my LinkedIn and Facebook.